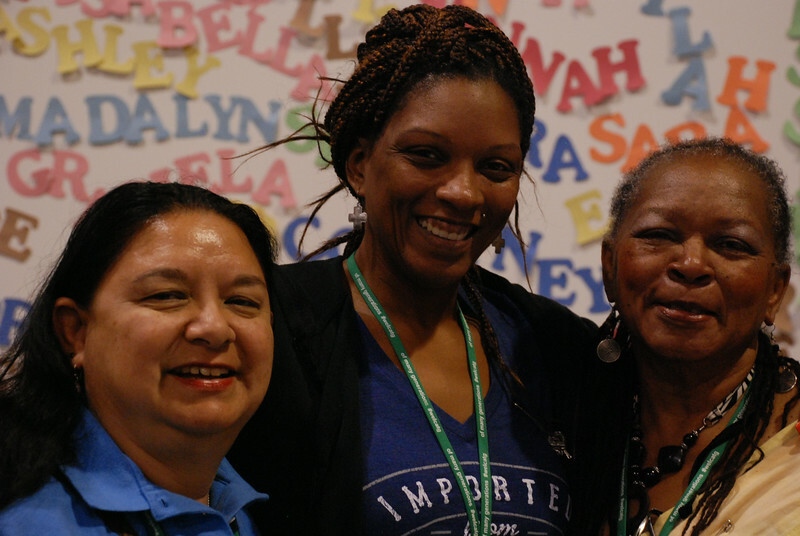 Judy Wagner St. Pierre (Newport News, Va.), Stephanie Hamilton Muwunganirwa and Victoria Hamilton, pastor at St. John Lutheran Church, Jacksonville, Fla., spend time catching up at the triennial gathering. Stephanie is Victoria's daughter. EH.